You’ve heard that one before, right? A nice play on words. But with Lake Chatuge, a gorgeous, sky-blue 7,500-acre reservoir that straddles southwestern North Carolina and northeast Georgia, this well-worn witticism might actually be true. When the striking beauty of a resource leads locals to call the region something as mystical and magical as “Enchanted Valley”, you know you’re really onto something special. Chatuge is a flood control and hydroelectric lake that was created when the Chatuge Dam was built as a Tennessee Valley Authority project back in 1941-42. The lake is surrounded by the Nantahala National Forest on the North Carolina side and the Chattahoochee National Forest in Georgia and fronting Hayesville, NC (north of the dam) and Hiawassee, GA on the south side. Flood control was the primary reason for dam construction, and about a decade later a generator was installed that produces power for the region. These days, all the practical infrastructure that spawned this man-made gem has become background – except the stalwart dam, of course, which rises 150 feet high and stretches 3,336 feet across the Hiawassee Rive and is a great spot for Chatuge’s famous year-round trout fishing. Recreational, entertainment and lifestyle amenities like boating, fishing, swimming and sunning, as well as nightlife and the many joys of lake living, have taken center stage. With 128 miles of lakefront, and four miles of island shoreline, Chatuge has become highly desirable for year-round lake living, as well as a summer retreat for city escapees, and a popular destination for visitors from all over the Southeast and Mid-Atlantic. The geography of this region – bordering Lake Chatuge and beyond – is varied and dramatic. From meandering valleys to mammoth mountain ranges leading to spectacular Asheville, NC and points north. 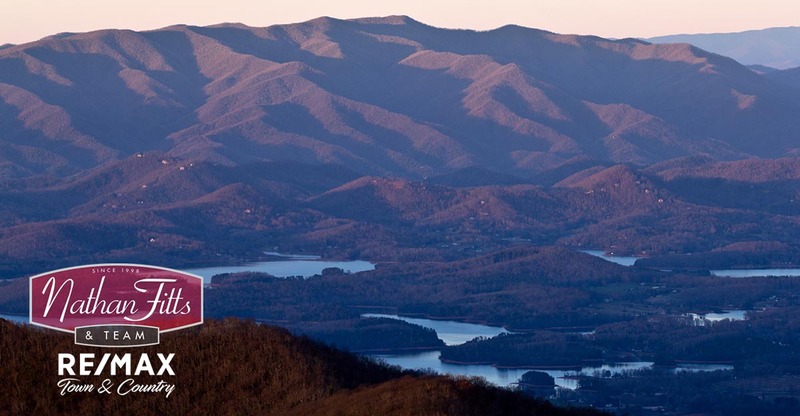 This is where the Blue Ridge Mountains show their true color, with amazing sunrises and sunsets, and lake scenery that is quite literally breathtaking and awe-inspiring. Lake Chatuge is at the center of a part of the country that’s slowly being discovered for its beauty, dynamism, and wide recreational range. You can just chill here, or experience the thrill of Class 5 rapids. You can boat or float, wine or dine, fish or just wish for fish – (there’s plenty in the seafood section of several grocery stores). Take Me to the Lake! Like most lakes, public amenities determine a certain level of practical appeal – for Lake Chatuge those include free parking, boat launches, public rest rooms, and a carefully crafted array of self-guided tours. Chatuge is a lake for all ages – family friendly and pet friendly, and all amenities are open year round. That’s one of the best things about lakes in the South – seasonal changes don’t determine availability or access and you don’t have to switch vehicles from those that perform on liquid lakes to those with stud-gripper tires or skis when a lake is frozen. Time sort of stands still on Lake Chatuge – the beauty is consistent and reliable, and although lake levels change (this is, after all, a flood control lake and the key word is control) the lake is always open for rest, relaxation and recreation. It’s one of the Southeast’s true treasures. Enjoy it!